Personal-Size, Three-Cheese Pepperoni Pizza. This pizza blends mozzarella, provolone and Parmigiano-Reggiano on a delicious crust. It’s also crafted into perfectly-sized individual portions your kids will love. 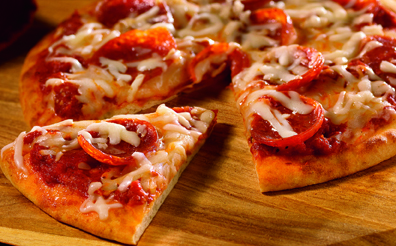 Kontos Foods, maker of artisan flatbreads and other ethnic foods, suggests using Kontos Plain or Multi-Grain Pizza Parlor Crust –– to make this tasty pizza featuring prepared sauce and sliced pepperoni. It also comes together in a flash, so you can get back to enjoying the holiday. Serves 5. 2. Arrange Pizza Crusts on two baking sheets. 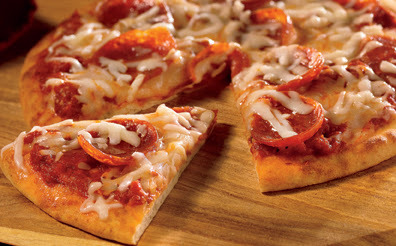 Spread 1/4 cup pizza sauce on each crust. 3. Bake 8 to 10 minutes, or until crust is golden brown and cheese is melted. I do like that the 14 oz. package comes with 5 crusts. Tht means that everyone gets his or her individual pizza and perhaps an extra! The recipe is easy and makes preparing the pizza a snap.